When I was building my first business I was the king of “flavor of the month” business strategies and tactics. I would read a book, go to a conference, or some networking event and immediately try to implement the ideas into the business the next day. I created an environment of whiplash. Every new idea was the best thing ever and it was the key to take the business to the next level. However, I never really stuck with anything, people would roll their eyes when I pitched the next new thing, and we didn’t get the results I was hoping for. Imagine a football team with no plays. Everyone is doing whatever they want, how they want, when they want. It is chaos and not very effective. By choosing one system to run your business on, you provide you and your team focus. Everyone speaking the same language and doing things the same way allows your team to work together more effectively. As a result, you will get more done, and you will be able to get what you want from the business. To quote Gino Wickman “You cannot build a great organization on multiple operating systems – you must choose one.” It doesn’t matter which operating system you choose. Just pick one. Your team will thank you. Your clients will thank you and ultimately your bank account will thank you. 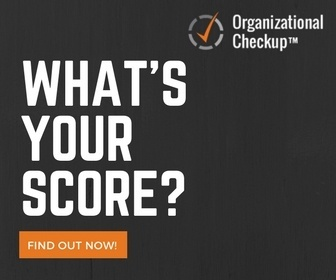 Take the organizational check-up to see how you are doing running on one operating system.